The Pentagon tray from Coram is supplied with factory fitted legs. You simply screw in the hexagonal feet, which can then be simply adjusted by hand to level the tray and the angled screw holes make the feet easy to fix in position. The height of the tray can be reduced by up to 30mm by using a trap with a 19mm water seal, fully winding in the legs and trimming the side panels. 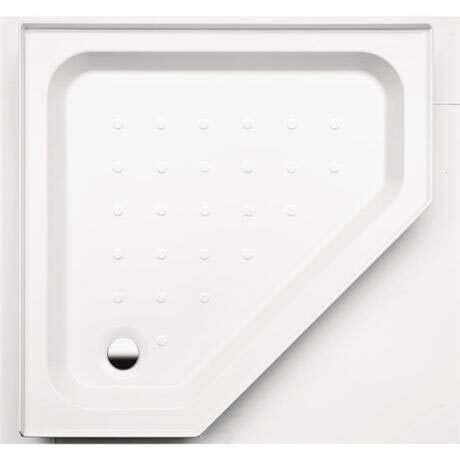 This tray features a pimpled main surface area, this is to provide an improved anti-slip surface.